It's amazing how much of a market share Microsoft has when it comes to people producing documents using it's Office software on Windows. 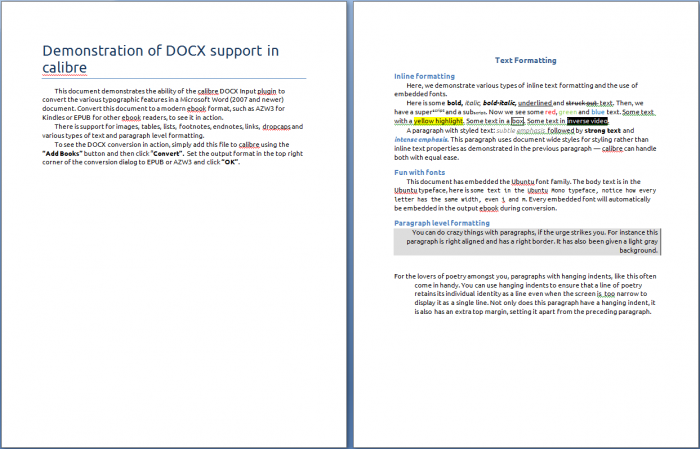 I often find myself in situations where I have to read DOC or DOCX files on my Mac and without a Mac version of Office installed this can be quite frustrating. So I decided to try the NeoOffice Viewer which is a free product that runs on macOS and lets you view (but not edit) files created in Microsoft Office, including Word, Excel, and PowerPoint. 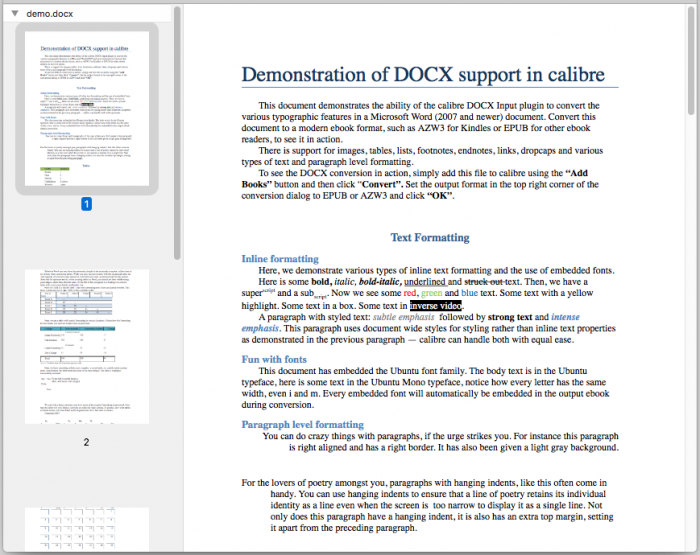 For this experiment I used the Calibre eBook DOCX demo document since it contained a nice variety of formatting and is freely available online. 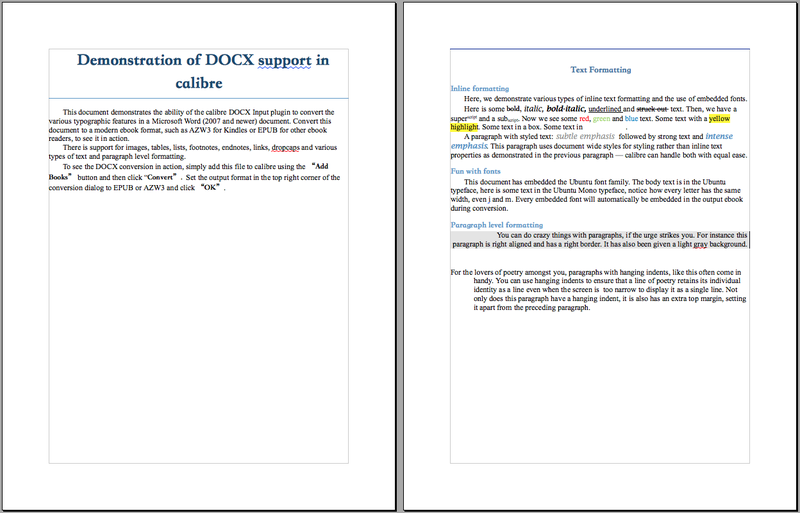 First lets see what the original DOCX file looked like when opened in Word (2007 version, I know it's old but it's all I have access to). So the NeoOffice version is close but misses out a fair amount of formatting that Word 2007 displays. Notably the heading font and size looks different, boxes around words aren't rendered, inverse video doesn't show, an extra horizontal bar is shown on the second page and margins are the wrong size. Close but no cigar. Where to begin! Lets just say Preview does a terrible job, worse than NeoOffice. That is not surprising though given it's an app bundled with the OS. So NeoOffice is OK for getting an idea of the document content but if there were any dependency on formatting of the document required to understand the content, it would not be a suitable surrogate for Word.